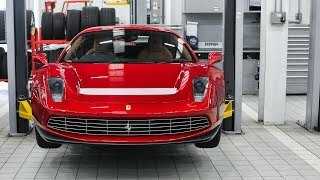 A couple of months ago in March, a video depicting a mysterious unique Ferrari leaving a dealership in London has surfaced on the internet. It was speculated that the supercar in question was a custom one-off model built specifically for the guitarist Eric Clapton, and in case you were skeptical about it before, then all your doubts should vanish learning that Ferrari has just unveiled the very first official images with the car. 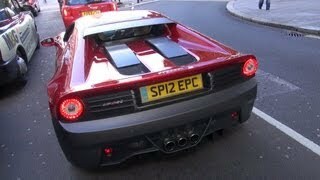 The Ferrari SP12 EC 2012 is indeed a one-off model built by Ferrari and Pininfarina with special input from Eric Clapton. The car draws inspiration from the Ferrari 512 BB and 512i BB built in 1976 and 1984 respectively. Eric Clapton claimed that the 512 BB is one of his all-time favorite Ferraris and thus he wanted to pay homage to it with this brand new creation. To be honest, who could blame him? 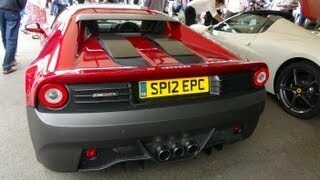 I for one adore the 512 BB and in my opinion it's one of the best looking Ferraris built in the past few decades. However, despite the classic styling of the SP12 EC, the one-off custom Ferrari is said to have borrowed the drivetrain from the 458 Italia (which in terms of styling is right next to the 512 BB), so in other words it should boast a 4.5 liter V8 producing 562 horsepower and 398 lb-ft of torque, with a purported top speed of 202 miles per hour. 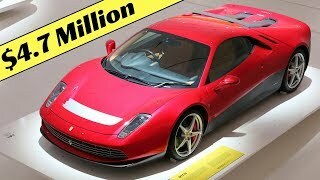 Unfortunately Ferrari hasn't been keen on revealing any pictures with the interior and they also haven't mentioned anything about the costs of making the SP12 EC, but rumors indicate that the estimate price for the one-off model is somewhere around £3 million, which translates into roughly $4.66 million. Eric Clapton claims that the SP21 EC is one of the most satisfying things he's ever done, and honestly he really should be proud because in my subjective opinion this one-off custom model is by far the best looking Ferrari in the last two decades. Combining the power and technology of the modern 458 Italia with the classic design of the 512 BB is simply brilliant, and I'd love to see a similar model go into production in the near future.